At Laptop Screen Replace, we complete Fujitsu laptop screen replacement service for people whose laptop screen is blank, cracked or dim. Our Fujitsu laptop screens replacement service is Australia wide. 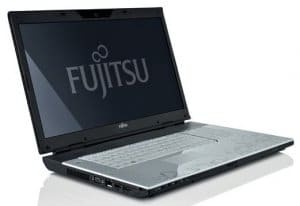 We complete Fujitsu laptop screen replacement service anywhere is Australia, if you live or work in Sydney we can complete Fujitsu laptop screen replacement or repair service onsite in front of you. If you give us a call our friendly Fujitsu laptop screen replace ment technicians with guide you through our simple process and provide you with a obligation free Fujitsu laptop screen replacement or repair quote on the spot. If you agree to go ahead, your Fujitsu laptop screen replacement service can generally be arranged on the same day. We understand you need your laptop back fast, so we stock parts for every repair; that is why we can have your laptop screen replaced on the same day. We can help you no matter where you are in the Sydney and surrounding areas. Our laptop screen replacement technicians are fast and fully qualified. Your laptop will be fixed quickly on spot in front of you. Contact Laptop Screen Replace via Email or call us for a Free Quote. If you are happy with the quote, we will arrange an appointment with you in your preferred time and ,location. Our Technician arrive at your place at your specific time and location, Within 15-20 mins, we’ll replace the cracked, broken, damaged or dead Laptop screen with a brand new replacement laptop screen. you will be issued a tax invoice, and all work comes with 12 month Parts and Labour Warranty. Call us at 0402 738 038 or email us at info@laptopscreenreplace.com.au if you have any questions or arrange an appointment for your Fujitsu laptop screen replacement.